In Hong Kong, Alex and I were chatting about how great the skyline and buildings of the city looked for a background. We then got on to the discussion of superhero comic style shots. We’ve been back a couple of weeks now and Alex sent me a couple of shots he had been working on, inspiring me to give it a go. 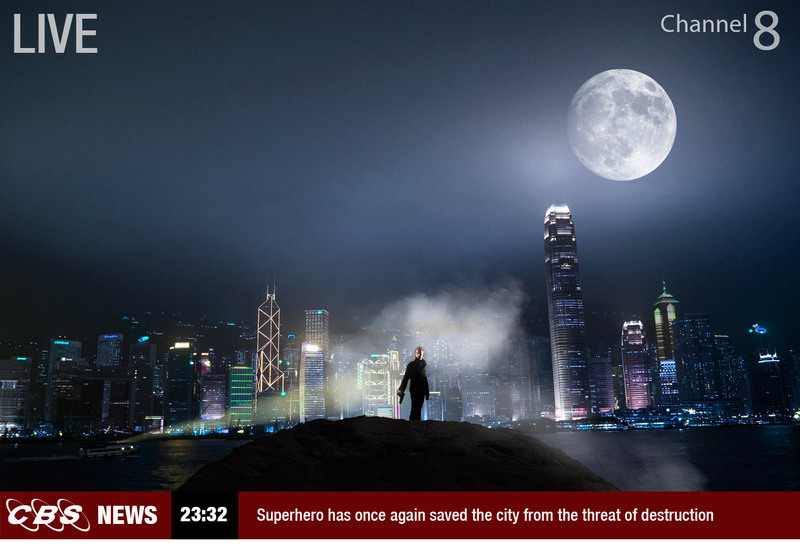 Heres an old self portrait of myself that I have rendered in front of the HK skyline and added a fake news report to. I love playing around in photoshop with shots like this, reminds me why I got into this as a job! Anyway, I must get back to work and stop having fun as I have a pile to do and my own birthday party to attend tonight!